After falling in love three years ago, Shah Zolfaghari moved to Georgia to marry his bride. They soon decided to start a family and were blessed with a beautiful daughter, Zoya May, who just celebrated her first birthday. Shah was so incredibly gentle and genuinely adored his daughter. He took precious care of her while Camila, Assistant Attorney General, was at work on behalf of human trafficking victims. Tragically on June 1st, Shah never came home from work. The family would soon discover that he was senselessly shot and killed while waiting at a stop light. He was working a second shift job to try and provide a better life for his family. That privilege was taken from him all too soon. Our hope is to see the dream that Shah had for his family fullfilled. Thank you for considering a contribution. If you haven't been able to give, that glitch is fixed and everything is running again. There has been such an outpouring of support for Camila, and the media has been incredibly true to Shah and who he was to her and to Zoya. 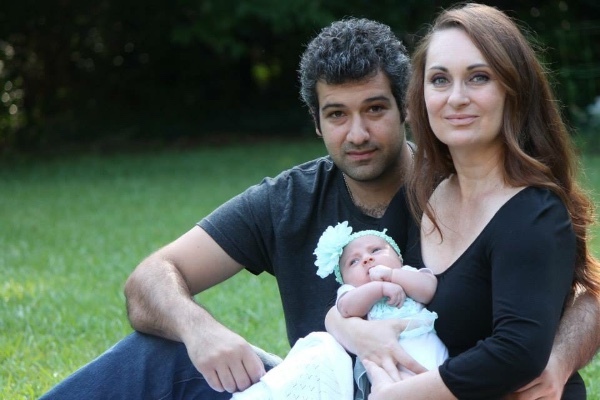 While Shah and Camila were extremely fiscally responsible, they were still in the beginning stages of preparing for their family long-term future. There are a lot of needs in the days and years to come in his absence, and financial support from the community is a small way to be able to support at this time. Camila - so sorry for what has happened. We are all praying for you. The old crew wanted me to pass this along (Brian, Jonathan, King and Janet).